I was at Whole Foods yesterday trying to figure out what to make for dinner. 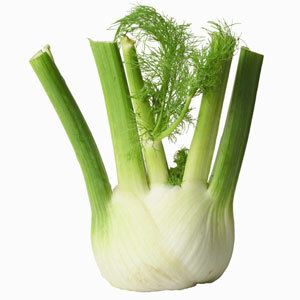 They had a big batch of fennel that looked delicious. I decided to buy a bulb and come up with a dish that included it along with chicken. I ended up going to Epicurious to get inspired and found an entrée that I’ve modified some. It came out delicious so I thought I’d share it! Mix all spices in a large bowl. Add chicken, making sure to coat thoroughly, cover and refrigerate at least 4 hours. In a large sauté pan, heat 2 TBSP olive oil over medium heat. Add fennel and sauté until fennel starts to brown, approximately 5 minutes. Add chicken broth and lemon juice. Boil for 10 minutes. Reduce heat to simmer for 1 – 1 ½ hours covered. At end of time, in a separate sauté pan, heat 2 TBSP olive oil over medium/high heat. Add chicken and lightly brown on both sides; approximately 1 minute per side. Add chicken to fennel pan, partially cover and simmer for 20 minutes. Add olives to pan and continue simmering for additional 10 minutes. Serve immediately. I served this with fresh steamed green beans and a simple mixed green salad with olive oil and balsamic vinegar. Vitamin D – Myth or Miracle?